32 74550-2689 - 7/16 Round/axle Bushing (black). 2 0801-0711 - Thermal Fuse. 46 0801-0220 - 10 X 1inch Screw. 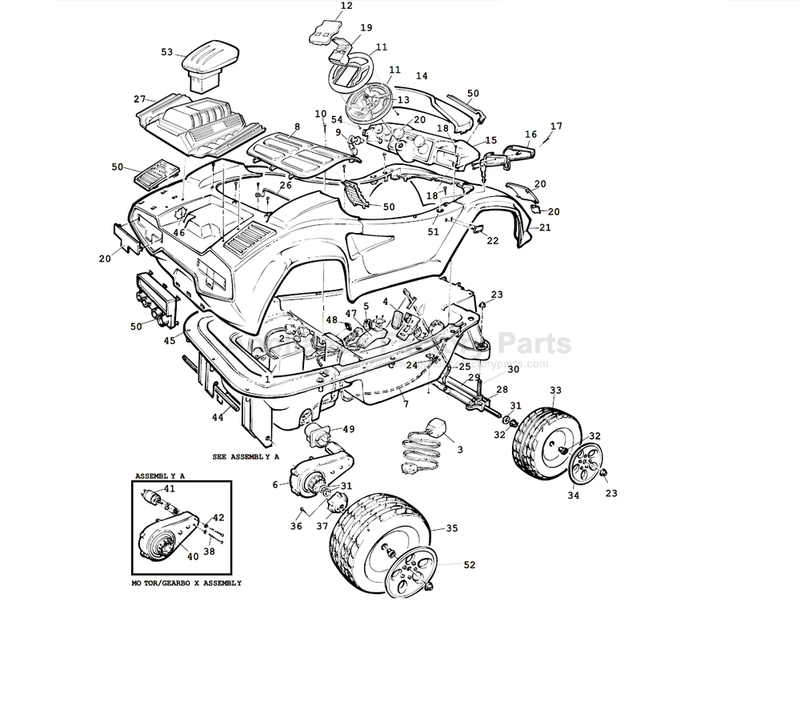 24 74550-2299 - Wire Harness Holder. 12 74526-2759 - Steering Wheel Plate.